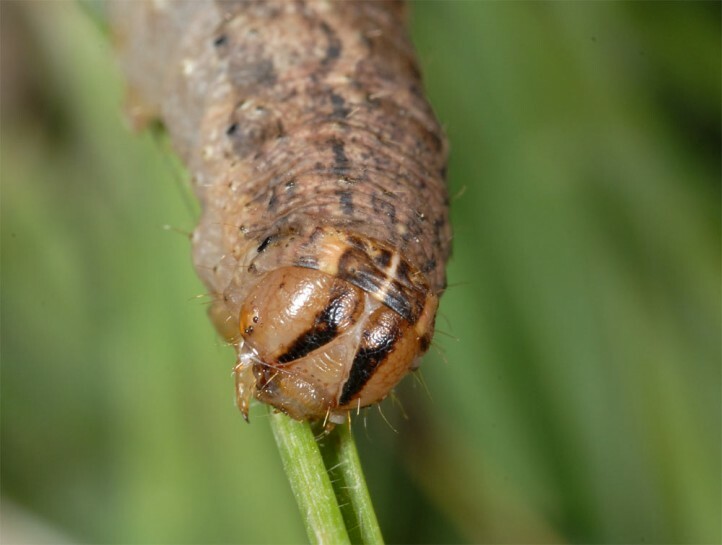 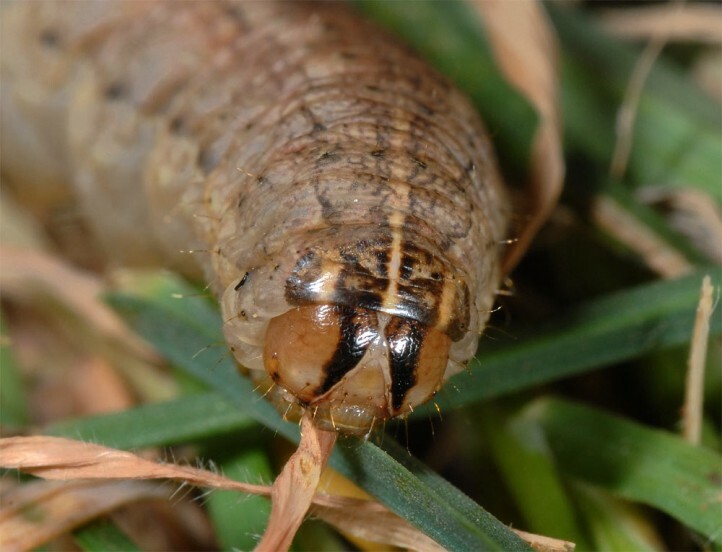 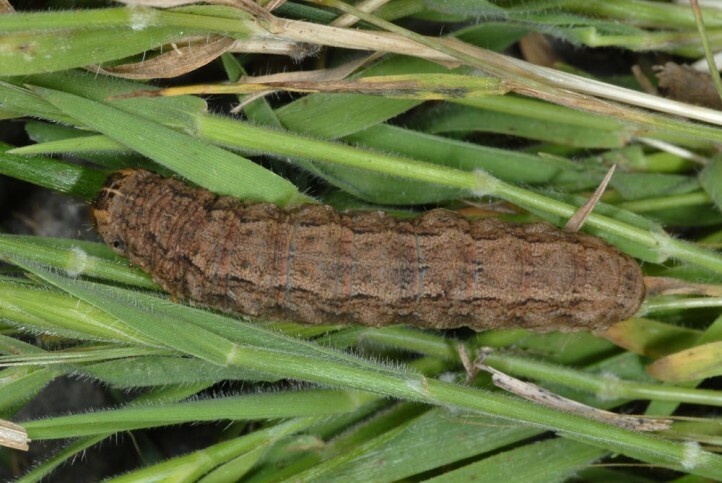 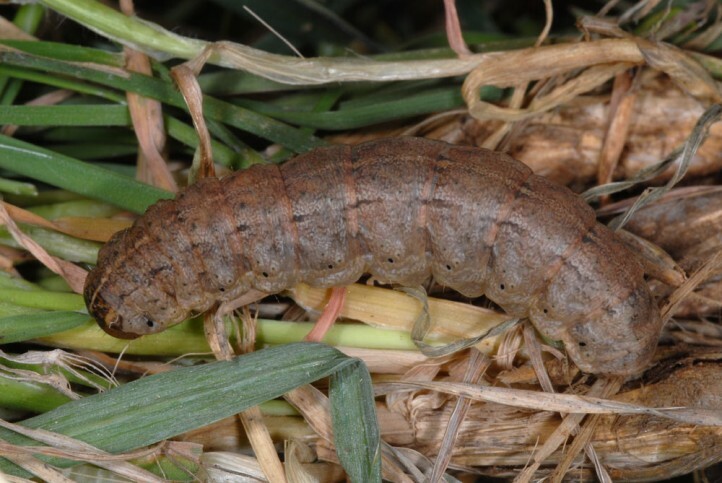 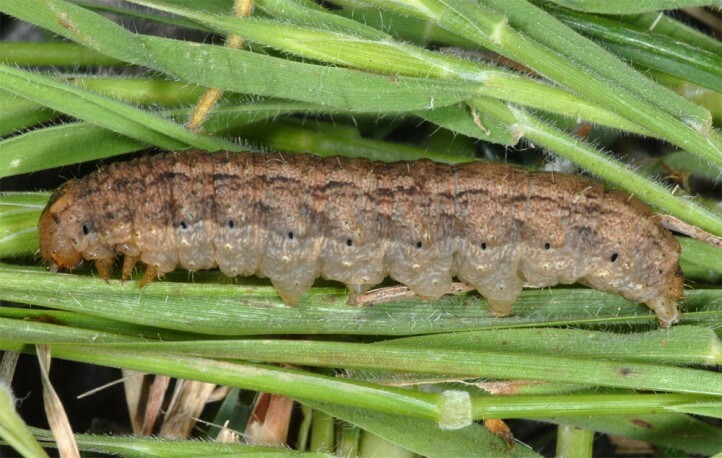 The larvae feed on many herbs and grasses. 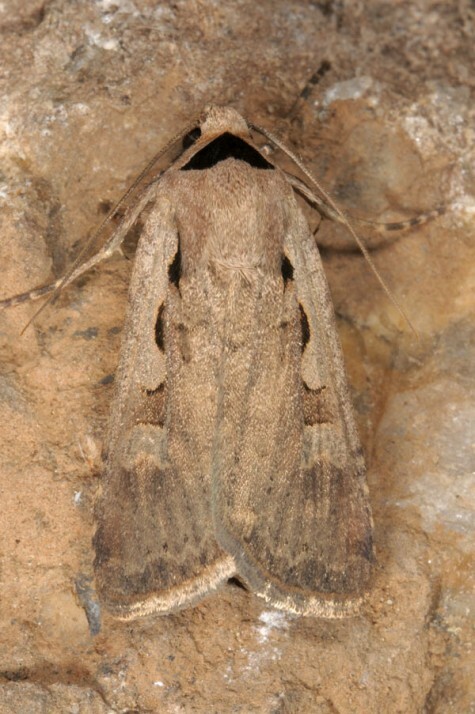 Dichagyris flammatra inhabits dry and warm, gappy sites. 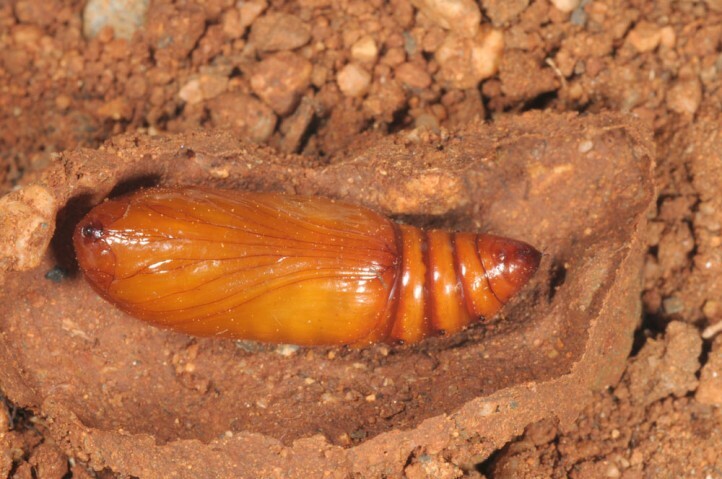 I recorded the larva in a very stony dry slope in the Ida mountains in Crete. 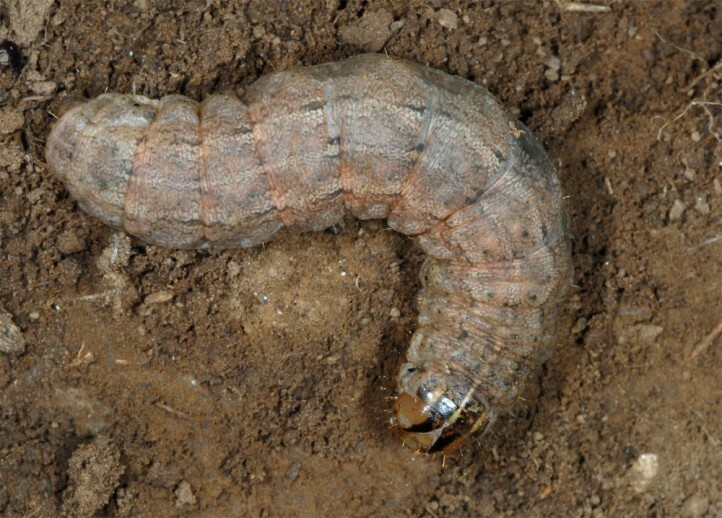 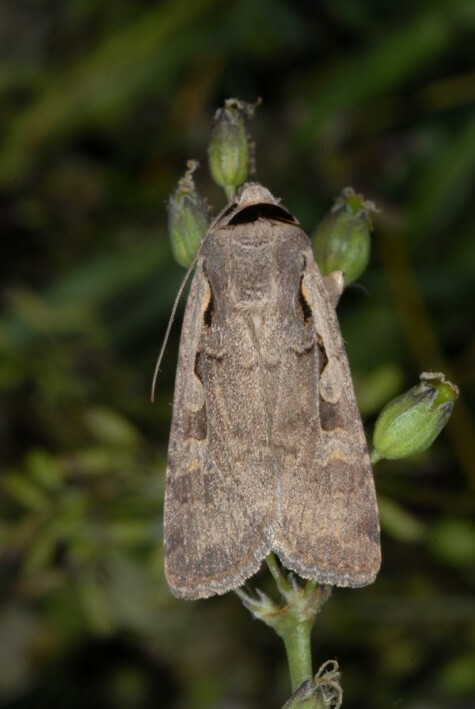 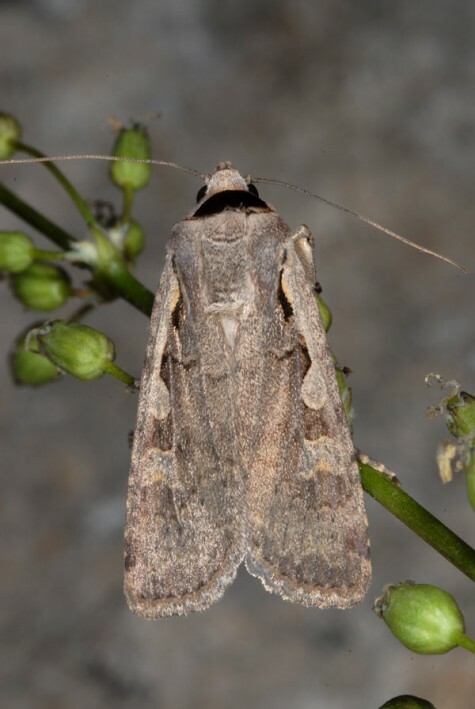 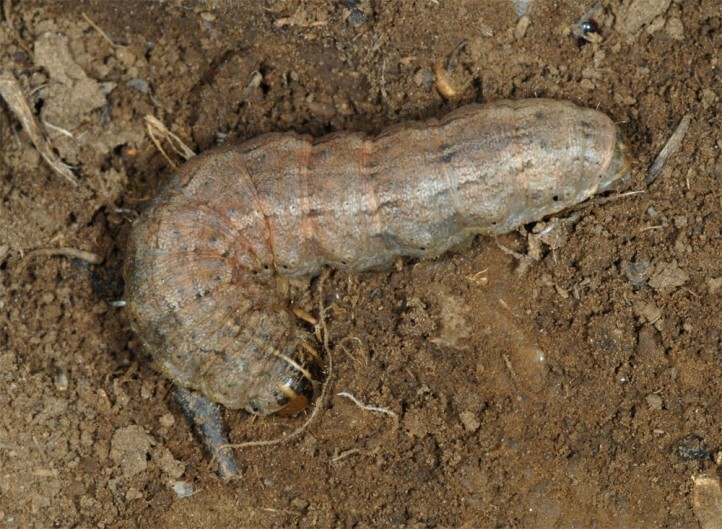 The larvae hibernate and the moths occur in summer. 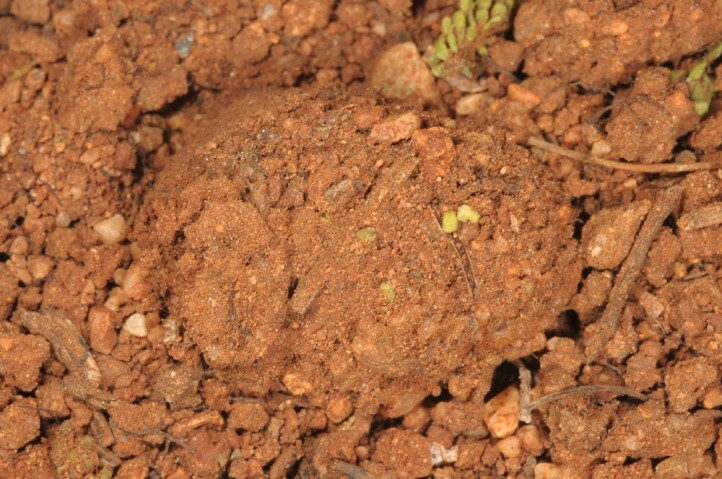 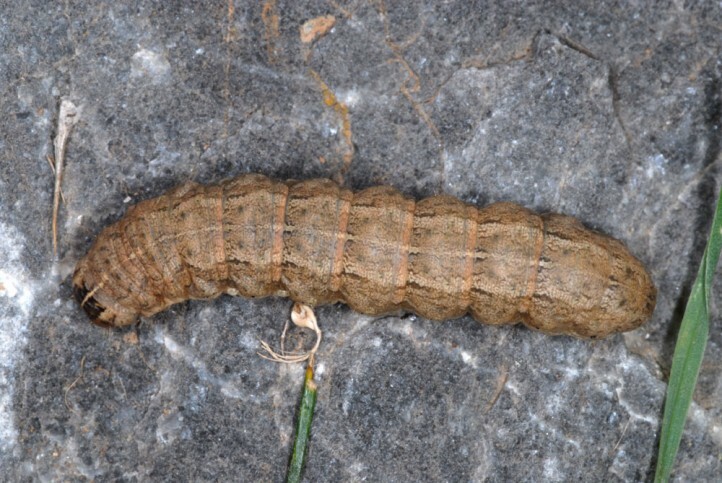 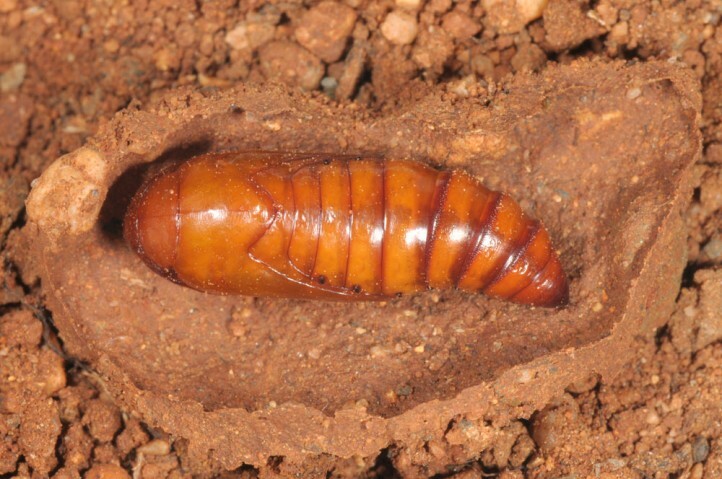 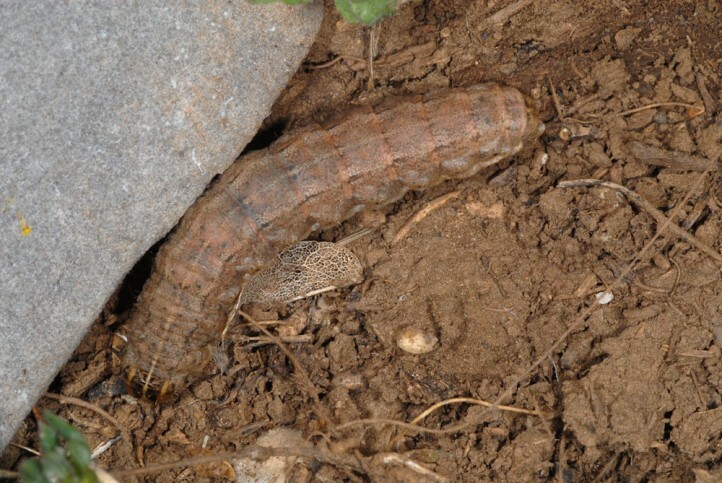 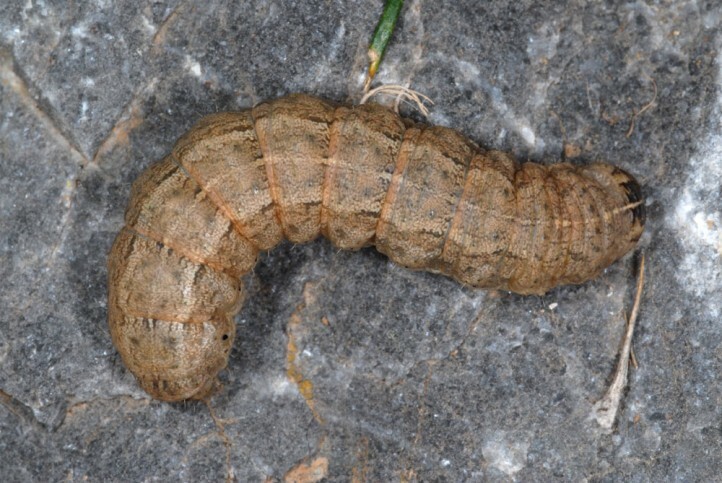 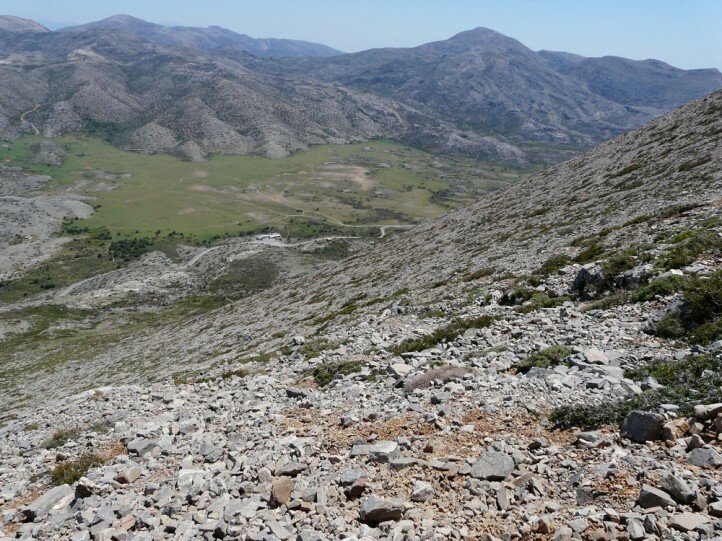 I observed the larvae under stones together with Pseudochazara anthelea in about 1700m asl in Crete in early May 2013. 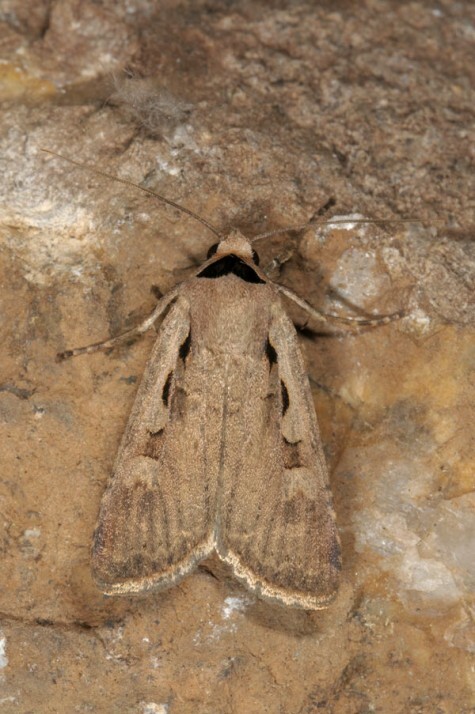 Dichagyris flammatra occurs from N-Africa across Southern Europe and warmer parts of Asia to Western China and north India. 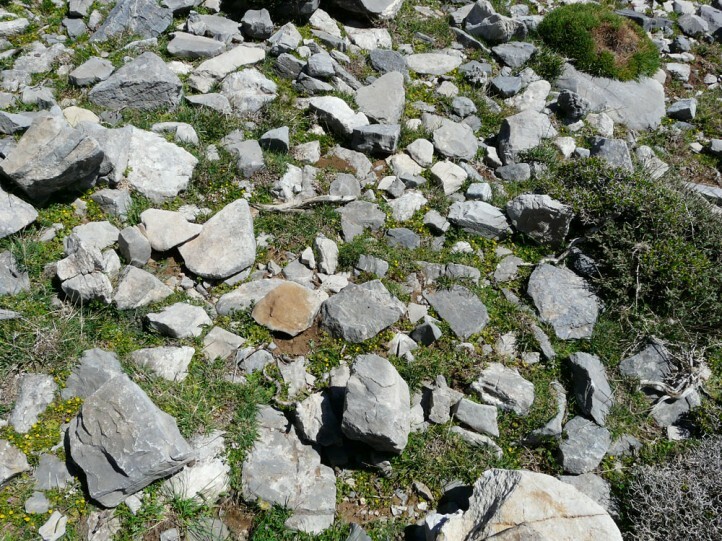 In Europe it may occur indigenous up to the Southern Alps. 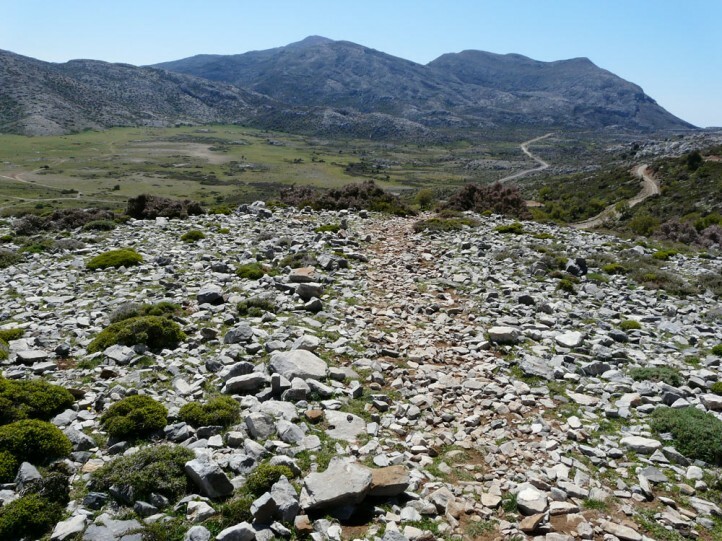 Further north there are only vagrants.